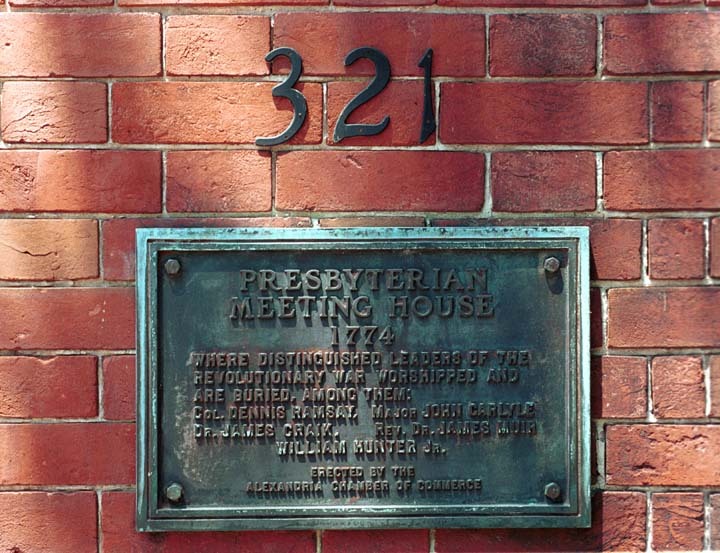 Among the historic sites maintained in Alexandria is the Presbyterian Meeting House. 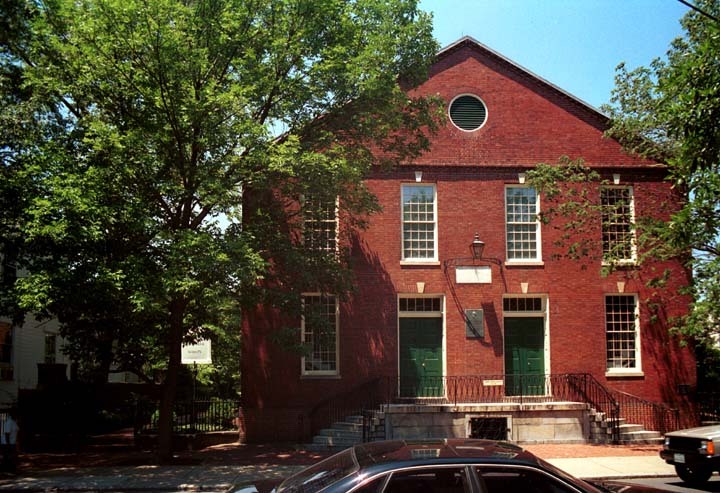 "The First Presbyterian Church Of Alexandria. Founded A.D. 1772. House of worship erected A.D. 1774. Destroyed by lightning July 26th A.D. 1835. Rebuilt on the same lot A.D. 1836"
"May 9, 1798, having been proclaimed a day of fasting and prayer by the President of the United States because of the danger of war with France, George Washington attended in the church, the proclamation sermon preached that day by Reverend James Muir D.D. 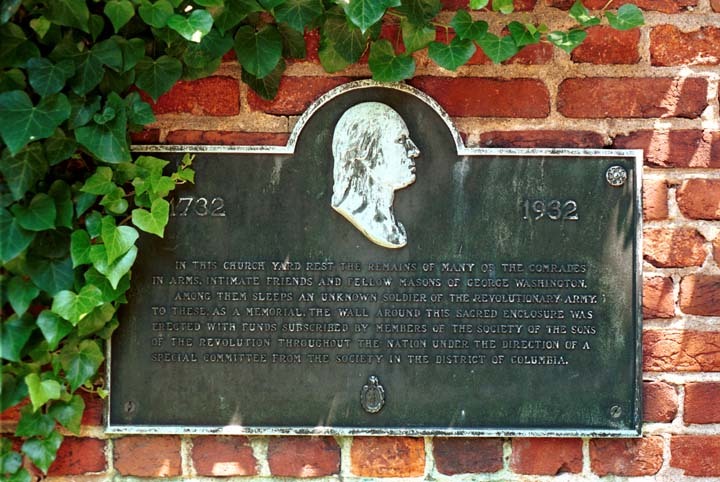 Erected by the Washington Society of Alexandria, May 9, 1988." This path leads to the cemetery in the back of the church lot. 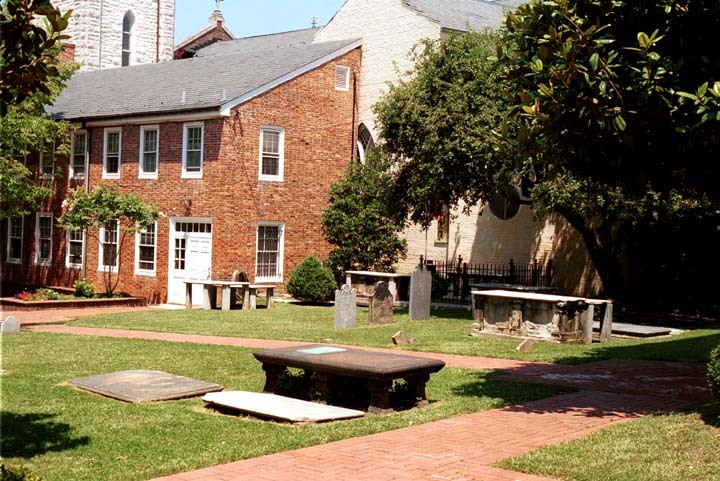 "In this church yard rest the remains of many of the comrades in arms, intimate friends and fellow Masons of George Washington. Among them sleeps an unknown soldier of the Revolutionary Army. 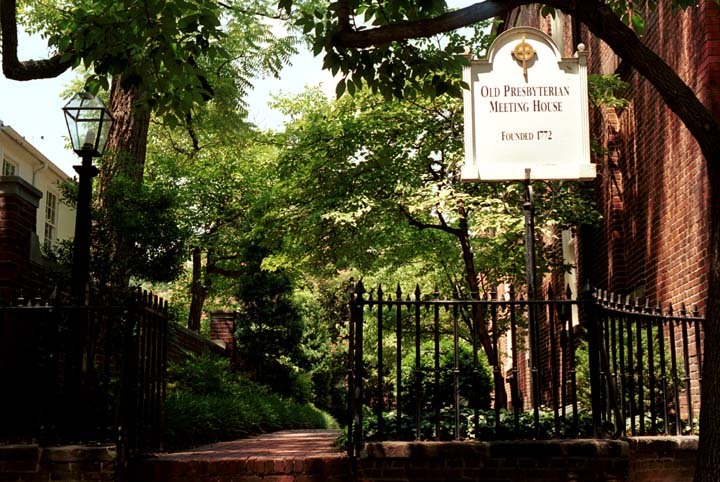 To these, as a memorial, the wall around this sacred enclosure was erected with funds subscribed by members of the Sons of the Revolution throughout the nation under the direction of a special committee from the Society in the District of Columbia."